SAN JUAN, Puerto Rico—The Pentagon named a senior general to command military relief operations in hurricane-ravaged Puerto Rico on Thursday and the Trump administration sent a Cabinet emissary to the island as U.S. lawmakers called for a more robust response to the crisis. 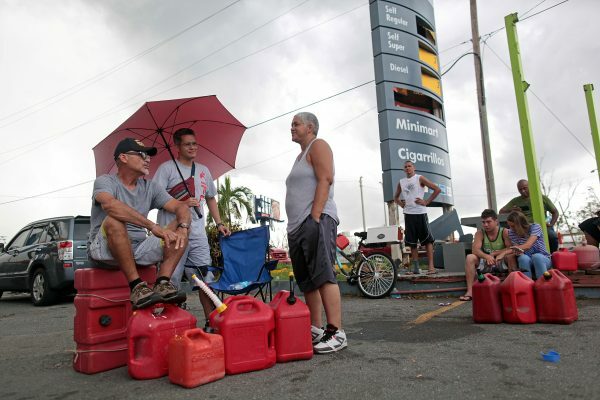 The U.S. territory of 3.4 million people struggled through a ninth day with virtually no electricity, patchy communications and shortages of fuel, clean water and other essentials in the wake of Hurricane Maria, the most powerful storm to hit the island in nearly 90 years. The storm killed more than 30 people across the Caribbean, including at least 16 in Puerto Rico. Governor Ricardo Rossello has called the island’s devastation unprecedented. The U.S. military, which has poured thousands of troops into the relief effort, named Lieutenant General Jeffrey Buchanan on Thursday to oversee its response on the island. Buchanan, Army chief for the military’s U.S. Northern Command, was expected to arrive in Puerto Rico later on Thursday. He will be the Pentagon’s main liaison with the Federal Emergency Management Agency (FEMA), the U.S. government’s lead agency on the island, and focus on aid distribution, the Pentagon said in a statement. FEMA has already placed the U.S. Army Corps of Engineers in charge of rebuilding the island’s crippled power grid, which has posed one of the island’s biggest challenges after the storm. In yet another move raising the administration’s profile in the crisis, acting U.S. Homeland Security Secretary Elaine Duke, whose department includes FEMA, will visit Puerto Rico on Friday with other senior government officials to meet the governor, Puerto Rican authorities and federal relief workers, her office announced. U.S. Senator Marco Rubio of Florida, like Trump a Republican, had earlier called for the appointment of a single authority to oversee all hurricane relief efforts, and said the Defense Department should mostly be in charge. Democratic U.S. Senator Richard Blumenthal of Connecticut said the crisis was shifting from a natural disaster to a man-made one. The government’s response had been “shamefully slow and undersized and should be vastly upgraded and increased,” he told the Senate. Blumenthal called for as many as 50,000 troops to better coordinate logistics and the delivery of aid and basic necessities. Even as FEMA and the U.S. military have stepped up relief efforts, many residents in Puerto Rico voiced frustration at the pace of relief efforts. “It’s chaos, total chaos,” said Radamez Montañez, a building administrator from Carolina, east of capital city San Juan, who has been without water and electricity at home since Hurricane Irma grazed the island two weeks before Maria. In one sign of the prevailing sense of desperation, thousands lined up at San Juan harbor on Thursday to board a cruise ship bound for Florida in what was believed to be the largest mass evacuation since Maria struck the island. The humanitarian mission, offered free of charge, was arranged between Royal Caribbean International and Puerto Rican authorities on a largely ad-hoc, first-come basis that sought to give some priority to those facing special hardships. Defending the relief effort, White House spokeswoman Sarah Sanders said 10,000 federal relief workers had arrived in Puerto Rico, including troops, and that 44 of the island’s 69 hospitals were now operational. “The full weight of the United States government is engaged to ensure that food, water, healthcare and other life-saving resources are making it to the people in need,” Sanders told reporters. Army Brigadier General Richard Kim told reporters that the total military force on the island, including the Puerto Rico National Guard, numbered about 4,400 troops. The Trump administration earlier lifted restrictions known as the Jones Act for 10 days on foreign shipping from the U.S. mainland to Puerto Rico. While that measure might help speed cargo shipments, Puerto Rico is struggling to move supplies around the island once they arrive. The U.S. government has temporarily lifted the Jones Act following severe storms in the past, but critics had charged the government was slow to do this for Puerto Rico. Overall, the island is likely to need far more than $30 billion in long-term aid from the U.S. government for disaster relief and rebuilding efforts following Maria, a senior Republican congressional aide said on Thursday. The immediate relief effort was still badly hampered by the damage to infrastructure. Clearing cargo deliveries at the San Juan port remained slow, and several newly arrived tankers were waiting for a chance to unload their fuel, according to Thomson Reuters shipping data. “Really our biggest challenge has been the logistical assets to try to get some of the food and some of the water to different areas of Puerto Rico,” Governor Rossello told MSNBC on Thursday. He has staunchly defended the Trump administration for its relief response, which Trump noted in one of his Thursday night Twitter posts. 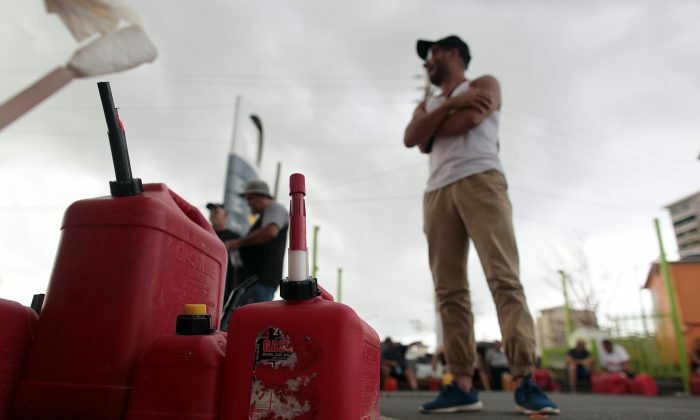 The military has delivered fuel to nine hospitals and helped establish more than 100 distribution centers for food and water on the island, the Pentagon said on Thursday. Brock Long, the FEMA administrator, told CNN he was dissatisfied with the federal response to Maria, saying operations had been hindered by damage to the island’s air traffic control system, airports and seaports. FEMA said full air traffic control services had been restored to the main international airport in San Juan, allowing for more than a dozen commercial flights a day, although that figure represented a fraction of the airport’s normal business. 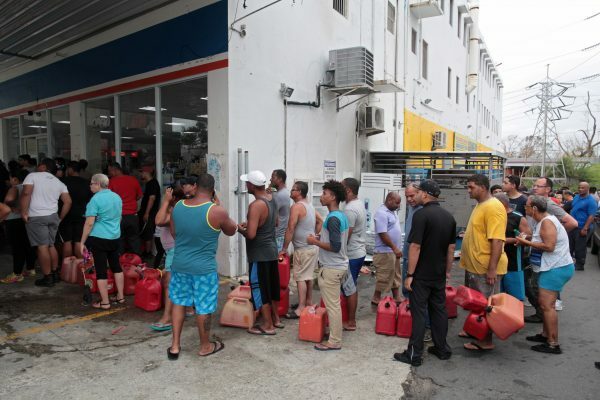 The island has also seen the gradual reopening of hundreds of gasoline stations during the past few days, while a number of supermarket chains were also returning to business, FEMA officials said.